I wondered what to write for my inaugural blog post. 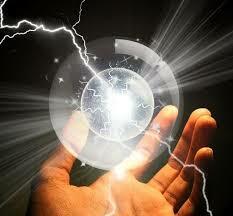 You may wonder what this subject, The God Particle Found, has to do with my website. Well…I probably won’t always write about getting out of debt and creating your family bank on this blog. I want to provide you with great information, but I want you to become more acquainted with me as well. Having said that, this subject is very much relevant to the purpose of this website. I was reading this article about the origins of the universe. It’s very interesting. It talks about the particle of matter that’s the key to making all of creation possible. Peter Higgs first wrote about it in the 60s, but it was just theory. Last year it was physically discovered and verified. Commentators, not scientists, have called it the “God Particle”. Go HERE now to read the article.